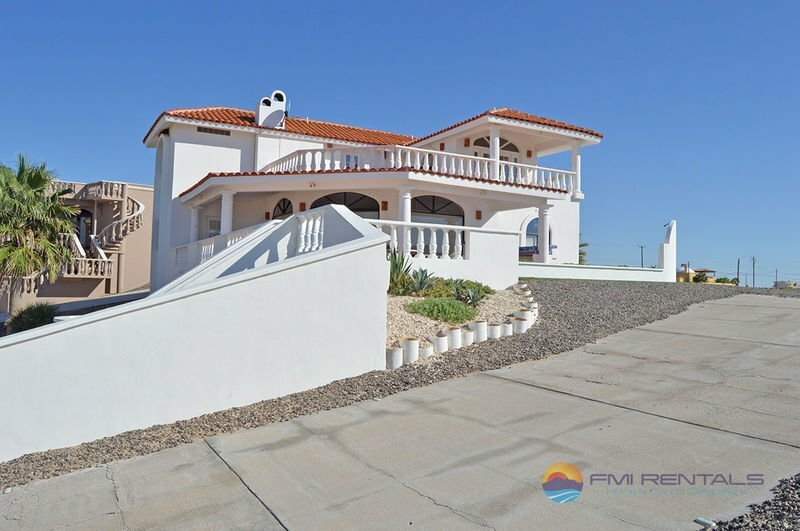 Vistas del Mar is a lovely choice among vacation homes in Rocky Point, offering oceans views, and it is situated within the popular Las Conchas community. This home offers four bedrooms and three bathrooms on two stories of living space. 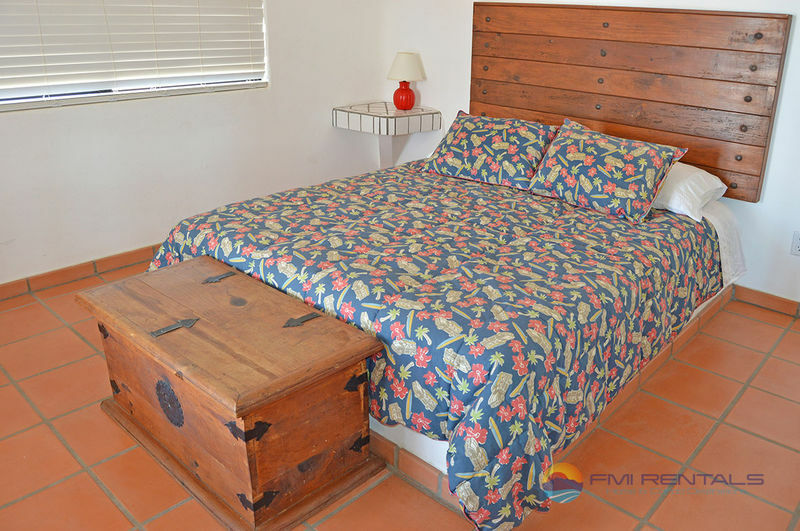 You will find that this home can accommodate up to 10 guests very comfortably. 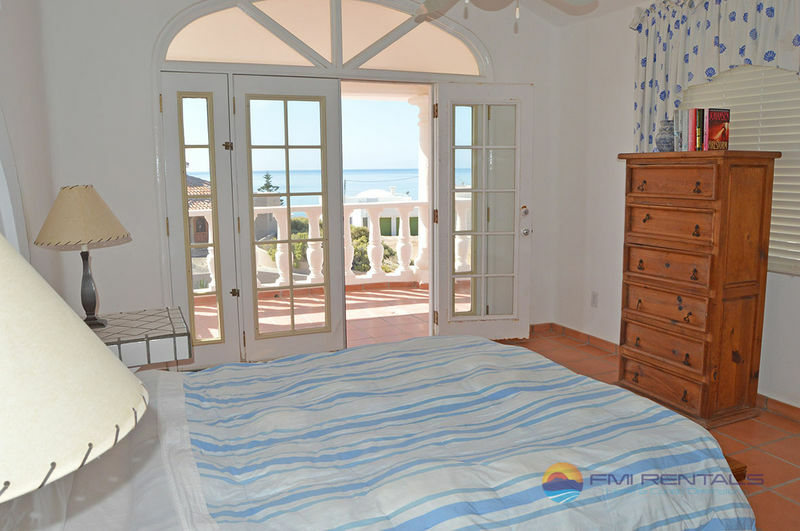 Three of the four bedrooms offer queen beds and access to full bathrooms. The fourth bedroom has two queen size beds. 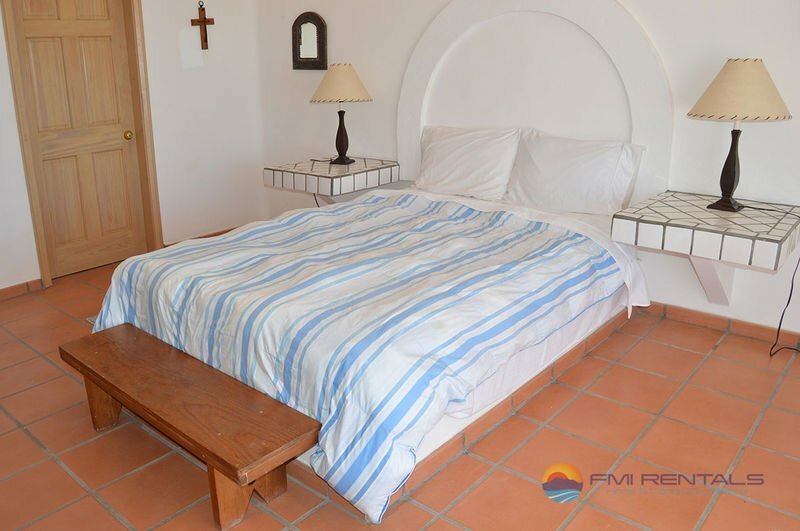 There are also additional sleeping accommodations located in the basement level of the home. 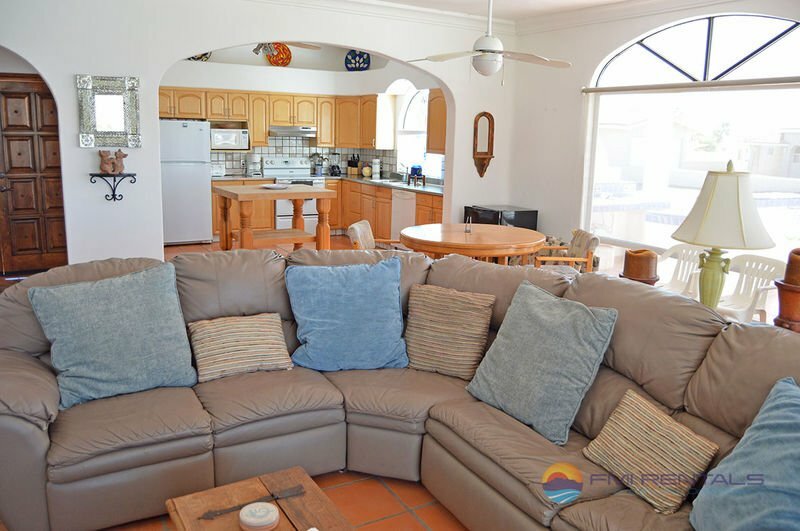 From the living room, you can enjoy expansive views of the Sea of Cortez. 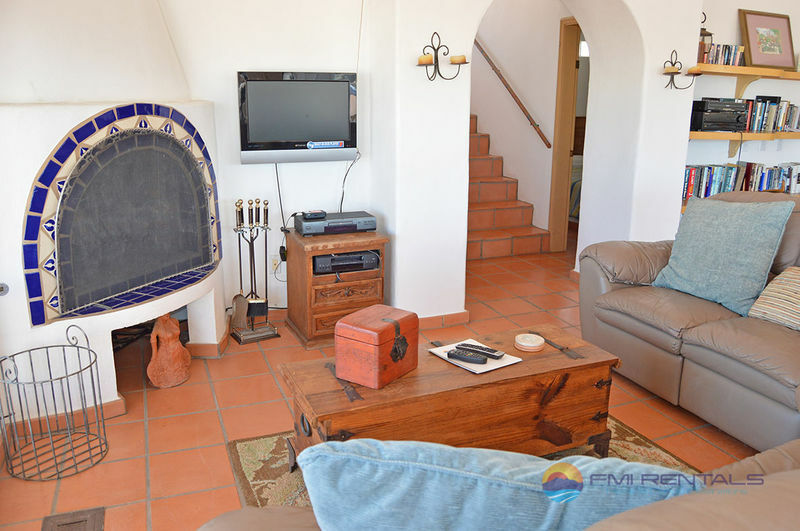 You will find a lovely wood-burning fireplace, and a flat-screen TV where you can relax after a wonderful day of enjoy the area’s activities. 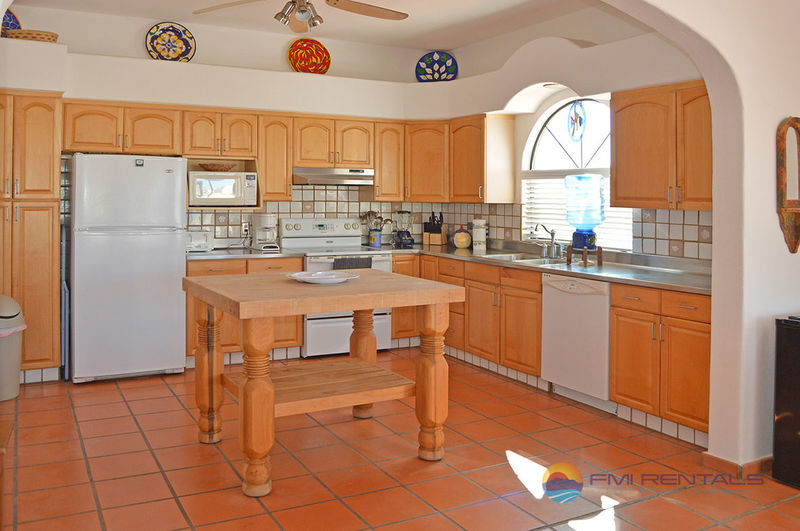 The kitchen is fully equipped so you’ll have everything you need to create your favorite meals. The kitchen also features a lovely island so you won’t lack any prep space. It’s also a great place to try out some new local favorites from local ingredients you can find at the nearby markets. 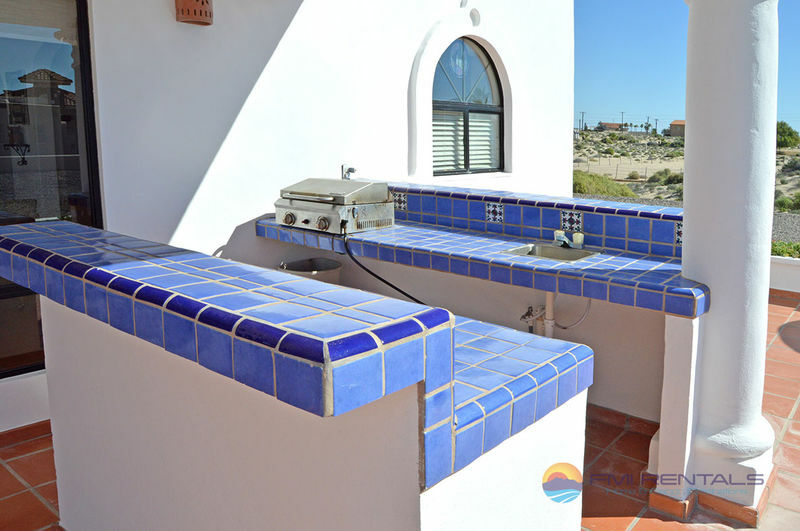 In one of the outdoors spaces you’ll find an outdoor kitchen area complete with a gas barbeque, bar and sink — perfect for some outdoor meal preparation. There’s also a wonderful outdoor patio area complete with great views and comfortable furnishings. 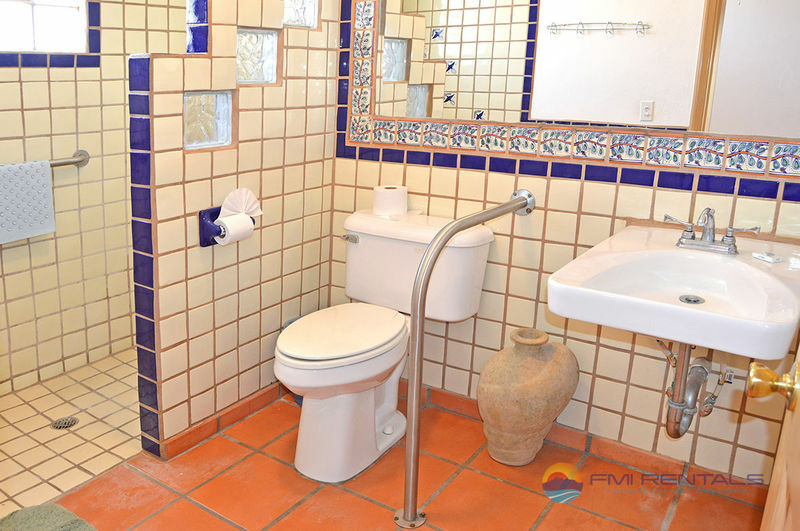 This home is located on a cul-de-sac to provide a sense of security during your stay. 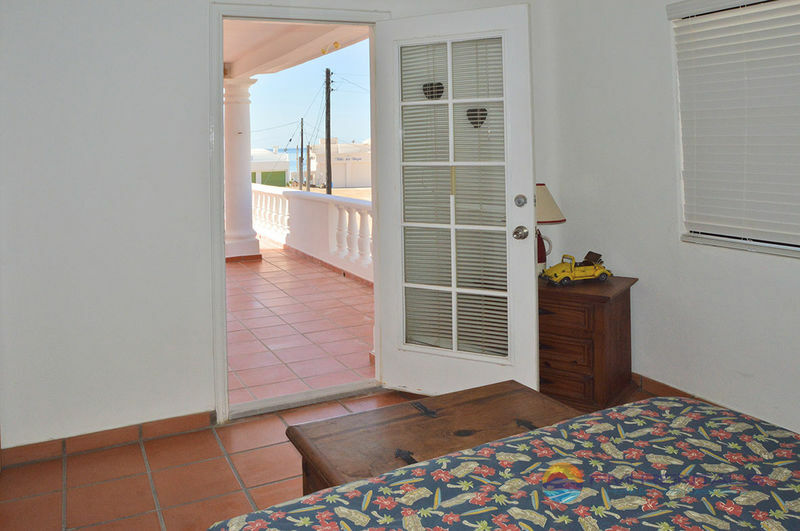 The home is also just a few steps from the beach where you can enjoy a day or two at the beach. 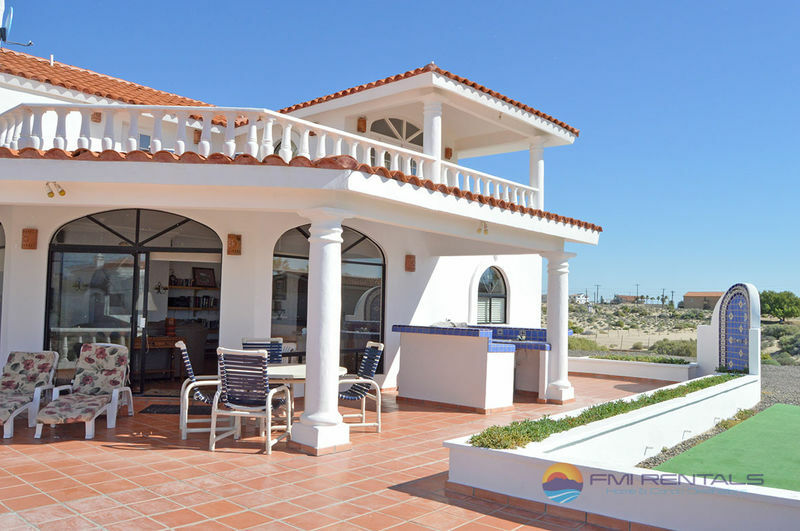 The beaches in Rocky Point offer plenty to do and see. You can go fishing, swimming, or even snorkeling. Of course, the beaches are a great place to just sit back and relax while soaking up the sun and enjoy those warm ocean breezes. 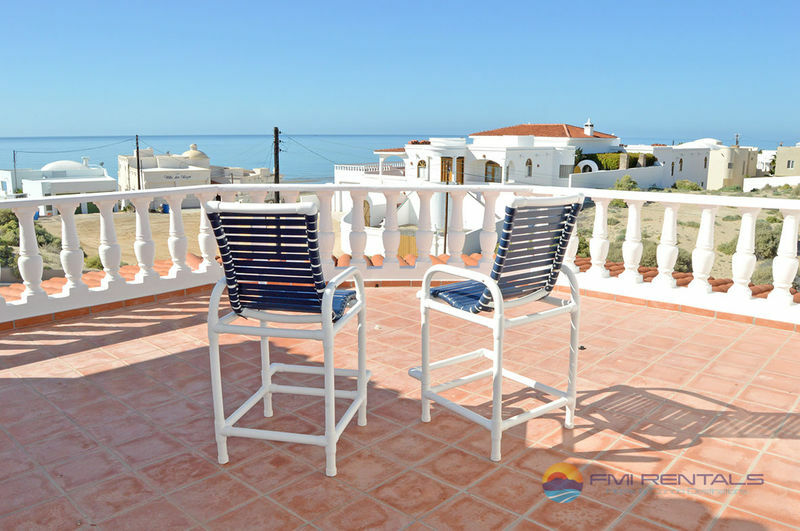 The great location of Rocky Point rentals makes them convenient to enjoy other Rocky Point activities and attractions. If you want a day of pampering, there are plenty of area spas where you can enjoy a day of relaxation. Try something exciting such as kite surfing or scuba diving. You can even explore nature at the Rocky Point Biosphere Reserve or enjoy a day on the links at one of the area’s golf courses. 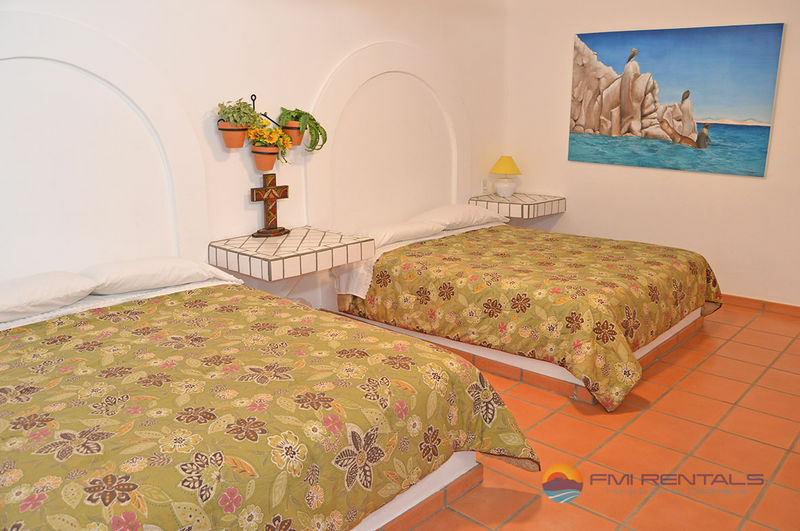 You will find that staying in one of our Rocky Point vacation homes will let you enjoy much more room that a traditional hotel stay, and will often be much more affordable.